Plush is in for the Holidays. Or at least you would think so based upon the overstuffed offerings of this department store. But don’t think visual merchandising creativity did not come into play. 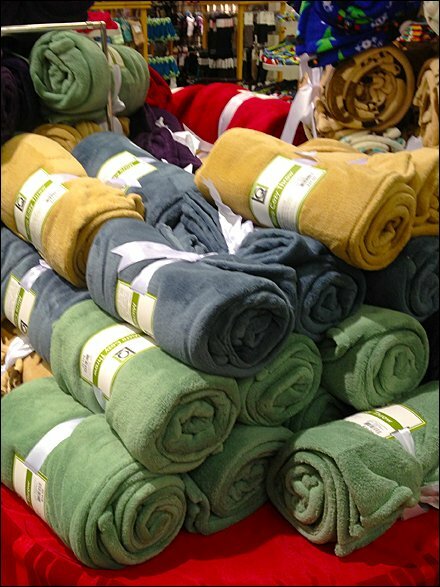 Browse the gallery and note that the plush blanket rolls were stuffed diagonally across the floor standing rack, not just stacked rectilinearly.